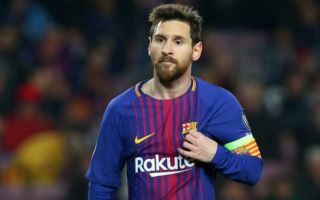 Lionel Messi has given Barcelona the green light to seal moves away from the club for duo Aleix Vidal and Lucas Digne. This is according to Don Balon, who are stating that departures for the duo could be completed in the next 48 hours, and that they are happy to see Digne leave with teams from the Premier League interested in his signature. The report also says that Vidal will also be allowed to leave, and that Sevilla are keen to bring the player to the Ramon Sanchez Pizjuan this summer. Both Vidal and Digne won’t be sorely missed at the Camp Nou, as both have failed to make their mark during their time in Catalonia with the Blaugrana. Vidal has been shunned into third choice at right back under Enresto Valverde, with both Sergi Roberto and Nelson Semedo being preferred over the Spaniard. Digne, too, has been made to watch on from the sidelines for most of his Barca career, with the superb Jordi Alba’s consistent performances not allowing the Frenchman to get a sniff of the left back spot at the Camp Nou. Barca fans will be hoping that the club can raise some funds by selling these two stars, funds that can do towards bolstering other areas of their squad ahead of the new season.